The Nintendo Switch has been seeing some pretty cool little titles appearing on it in the past few months, you know, other than the ones from Nintendo, which we expect to be cool simply because it’s Nintendo. 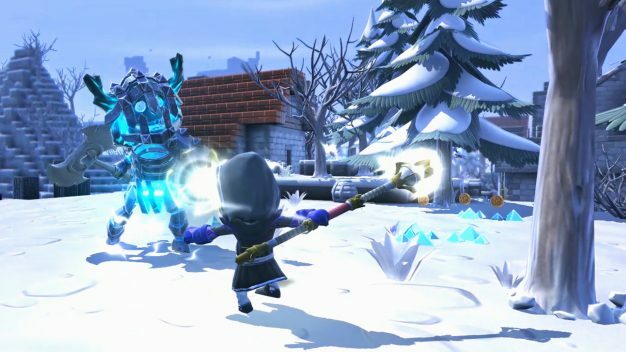 The latest in this line of great games is Portal Knights which is now out on consoles. You’ll find its digital release in the Nintendo eShop at $29.99. A physical release is also planned and you’ll be able to grab a copy in your local stockist next February. 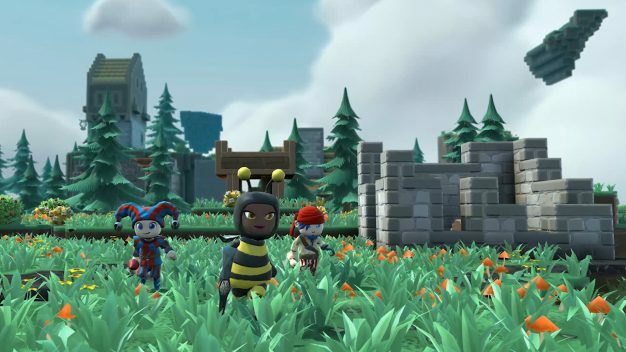 Portal Knights, for those of you that haven’t heard of the game, is a sandbox co-operative action RPG which has been developed by Keen Games and published by 505 Games. In true RPG style you’ll choose your role at the beginning of the game. Step up as the warrior, ranger or mage and build your skills while gathering resources to build powerful weapons, armour and spells. You will need the best arsenal you can get when you are going face to face with formidable monsters and bosses in real-time combat. 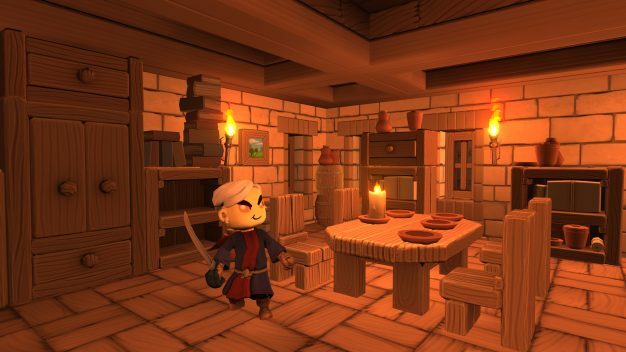 It’s already had quite a bit of success with its PC, PS4 and Xbox One versions and has now been optimised for the Switch. This will enhance the game with new ways to build, battle and share your adventures with your friends and family. The new features I’ve just mentioned will obviously include touch screen support (this is the Switch after all); with a tap of the screen and a quick swipe you’ll find yourself being able to manage your growing inventory of items more quickly than ever. Wireless play is also supported. 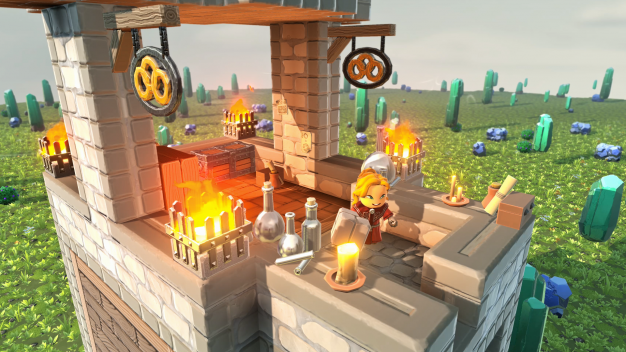 Portal Knights will happily support you and up to three of your friends in split screen co-operative play. This means that if two of you connect two Switch systems you’ll get split-screen play for all. Of course, if you and your mates all have a Switch why not connect all four systems and play in full screen? The choice is entirely yours. 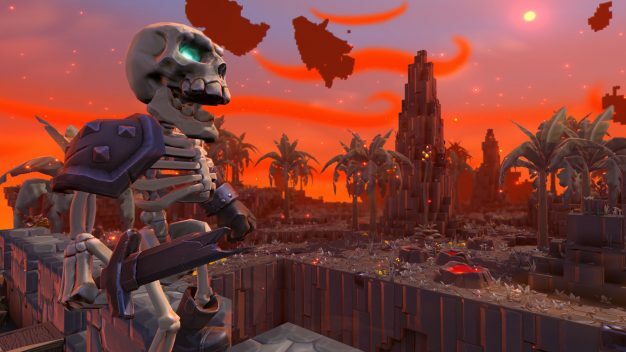 Switch players will also have access to the latest Portal Knights version release (the v1.2 update): this means you’ll be right up to speed and provided with brand new game features and content such as Vacant Islands, new boss quests and vanity items. I rather like the idea of a Sandbox RPG. The fact an RPG is by nature expansive means that boltering it with a Sandbox element is only going to make it bigger. This also means that your choice of kit and even the monsters, bosses and dungeons you face will be down to choice. If you’re thinking the same as me and happen to own a Switch why not pop over to the eStore and see what you think? Course if you don’t own a Switch, that’s fine, too. As I’ve mentioned, Portal Knights is already available on other systems. Well, off you go then … get to it!